Jewellery has always been an important adornment for women in India and plays an important role in making them shine like diva. The significance of jewellery in woman’s life is worth mentioning. Poor or ultra rich, every woman possesses jewellery that she can afford. Jewellery in various forms has been integral part of gifts for women and each and every jewellery piece has got values attached. Beautiful jewellery crafted with precious metals such as gold and silver along with precious stones like diamond symbolizes good status and power. There is no doubt that jewellery accentuate the beauty of women but it is also a well known fact that in the time of crises, the collection of jewellery provides great support. The simplest way to add more shimmers to that beautiful dress you are wearing is to accessorize it with trendy designer jewellery. 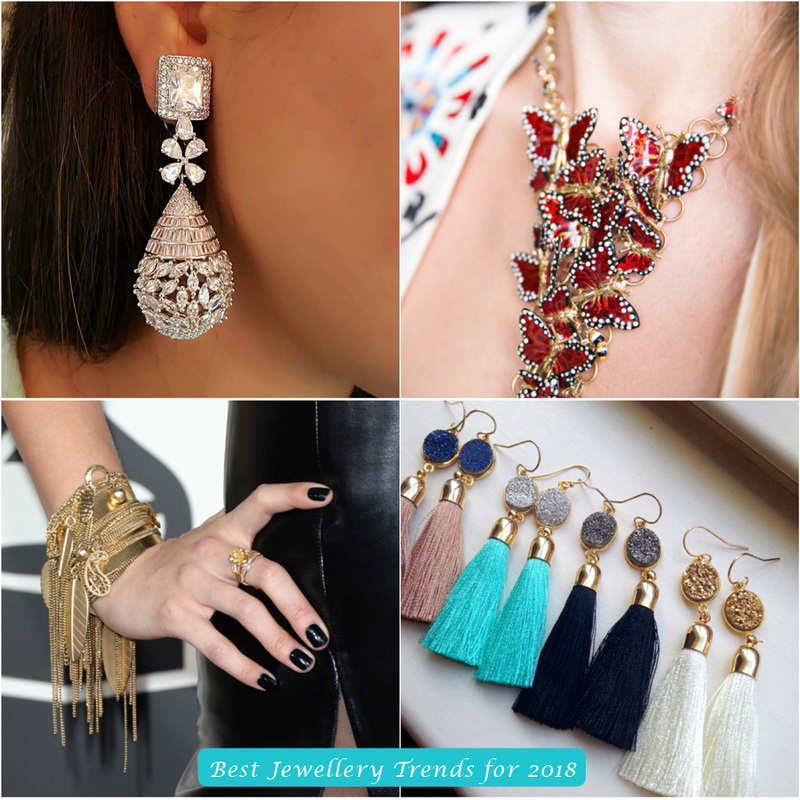 Latest jewellery trend for the year 2018 says goodbye to delicate jewellery sets. Bold is beautiful and is in demand. Get the feel of 80s with over sized jewellery. Let’s have a look at some of the latest jewellery designs that are going to become a hit in the current year. 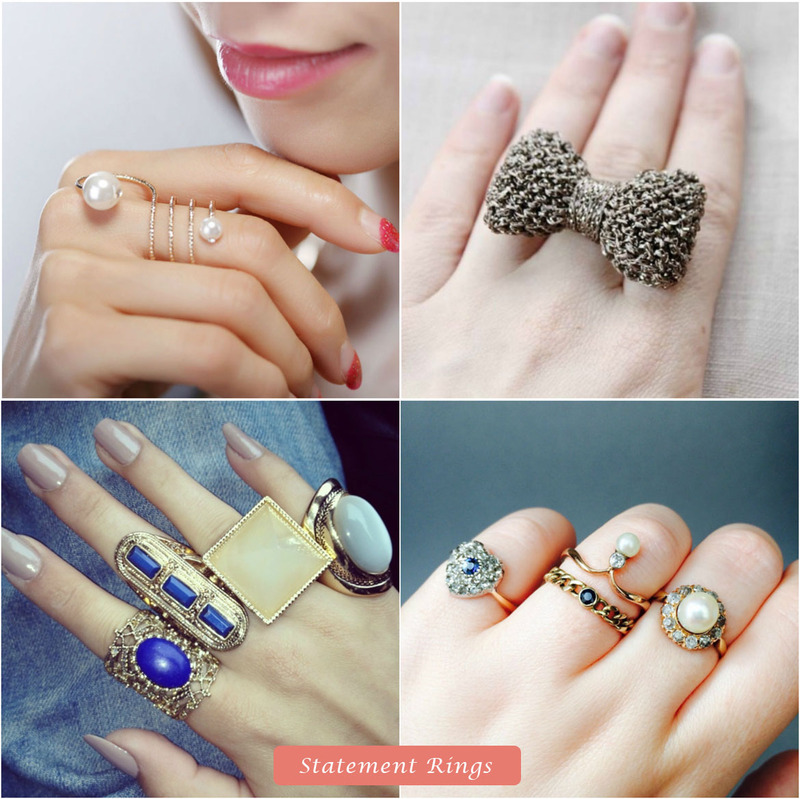 Statement Rings :- Gold statement rings have become an obvious choice for people in the year 2018. Trendy rings are made using lots of creativity. Best part is that you can buy one which suits your personality and makes you look hot. Chunky Gold Chain Bracelets – A bracelet with unique looks. The uniqueness lies in its chunky gold chain design. This “Arm Candy” will add to your style statement. 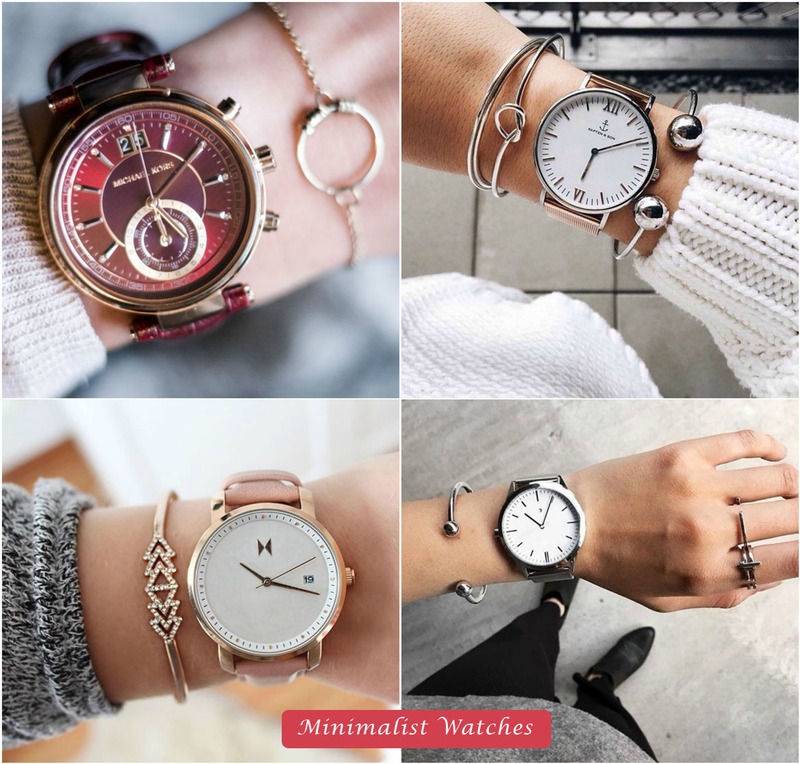 Minimalist Watches – Elegant Minimalist watches with a large circle fixed over a shimmering thin strip is a latest addition to fashion trends for 2018. 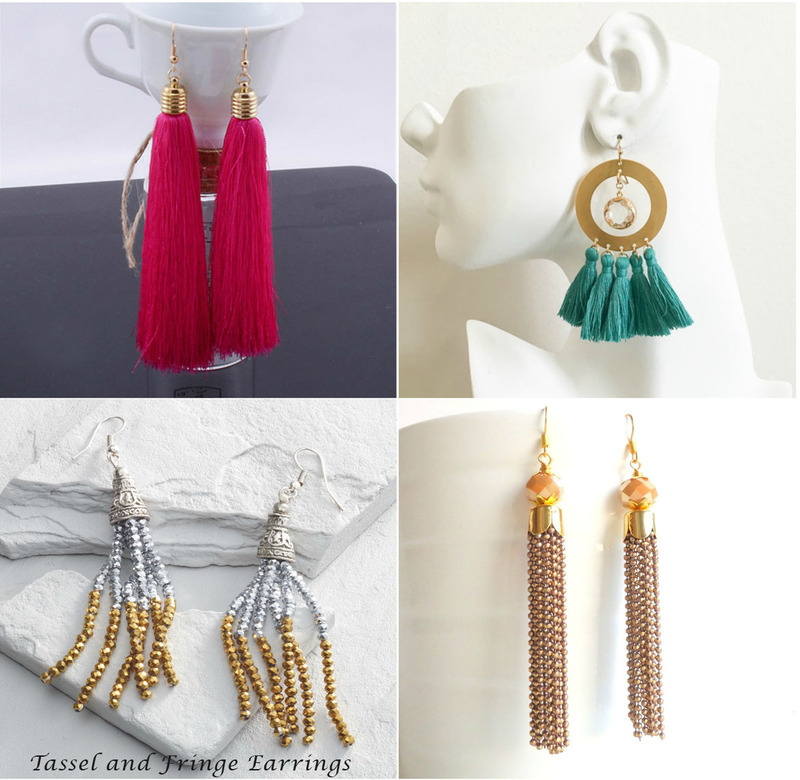 Tassel and fringe earring – With their cheerful colors, fringe earrings continue to win hearts in 2018.